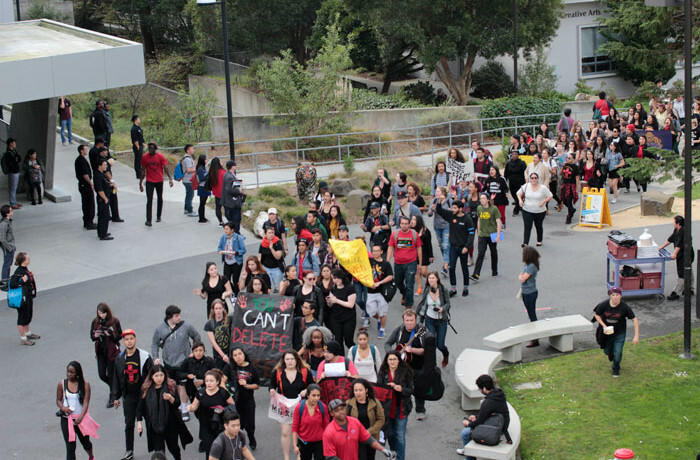 Nearly 800 students and faculty marched across the SF State campus Thursday morning Feb. 25 before meeting with the University’s president over looming budget cuts to the nation’s first and only College of Ethnic Studies. 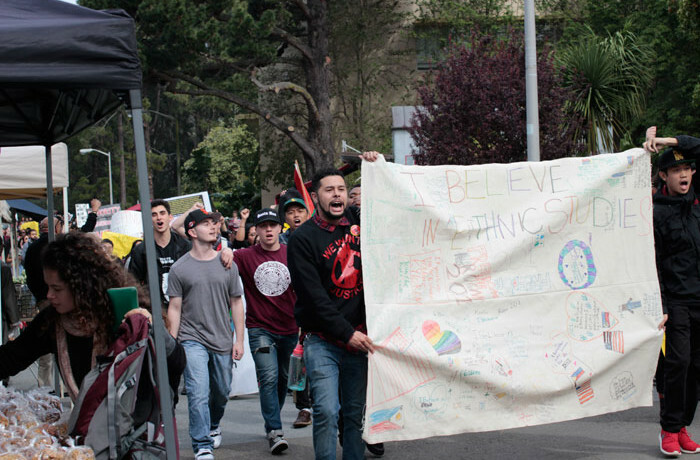 Faculty and students have been extremely concerned since Feb. 18 when faculty obtained news of planned financial cuts to the College of Ethnic Studies. 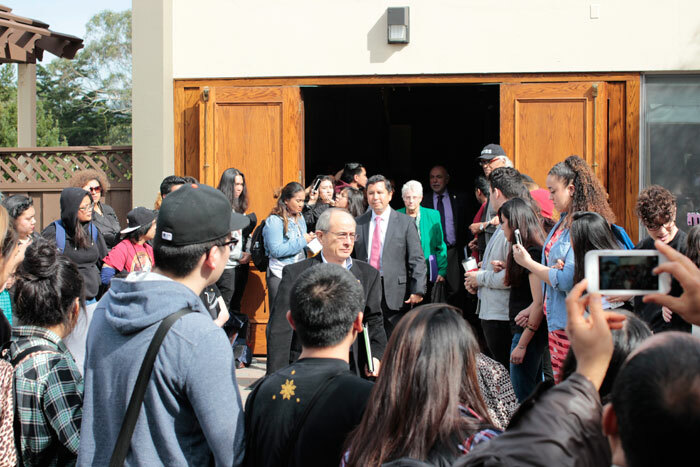 On Feb. 25, Wong, Provost and Vice President for Academic Affairs Sue Rosser, and Vice President of Administration and Finance Ronald Cortez, met with students and faculty to address questions and concerns about the cuts which, if implemented, could result in a 17 percent monetary shortage to the college, according to a fact sheet provided by students. 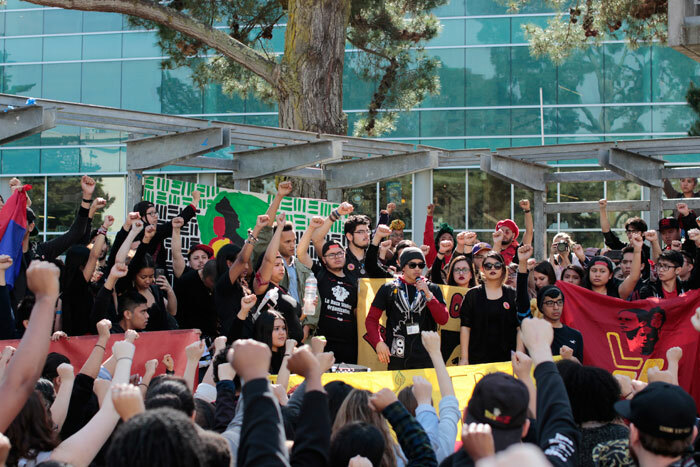 “This is nothing new,” said Chair of American Indian Studies, Andrew Jolivette, who explained that underfunding to the college has been consistent, and faculty, students and staff have had to fundraise on their own to keep important programs and services running. One of the main points the administration has made for the cuts is the alleged overspending and misallocation of funds by members of the college. 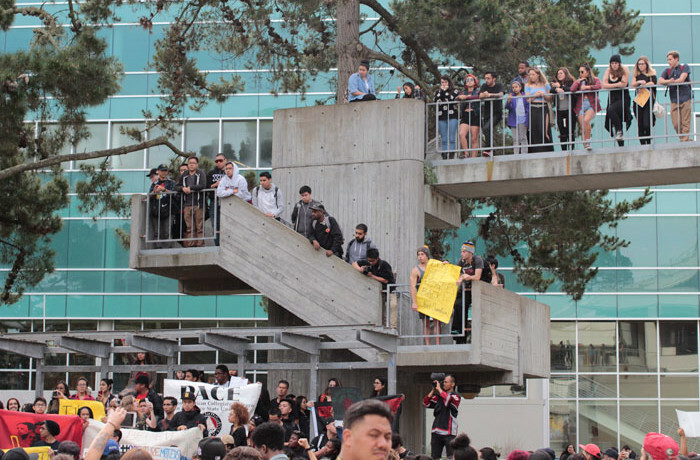 Sofia Cardenas, member of the Ethnic Studies Student Resource and Empowerment Center, responded. 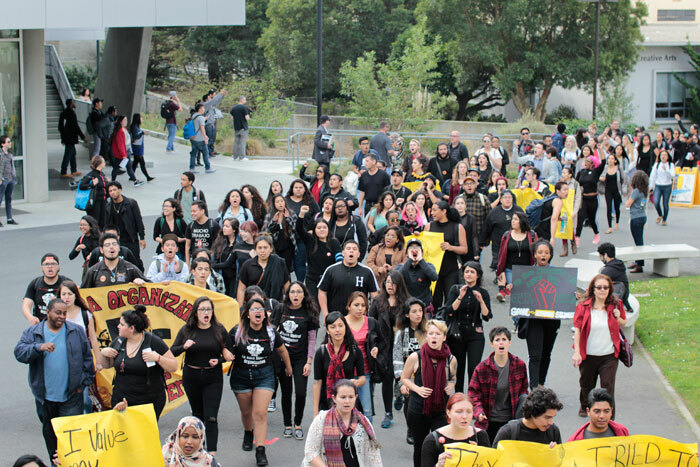 “We cannot look at the [College of] Ethnic Studies saying we are overspending when really we don’t even have enough money to begin with,” she said. The budget allocation for 2015-2016 is $3.6 million, according to numbers provided by Jonathan Morales, SF State’s director of news and news media. 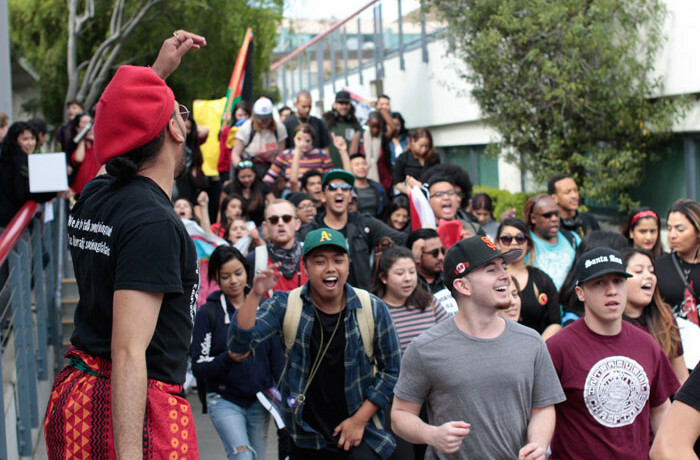 One of the key and unique components of the College of Ethnic Studies is its commitment to local communities. It requires a community service learning objective where students obtain opportunities to work in local community organizations. Arce, a first-generation college student, credits her political will and drive for immigrant rights to the education she obtained in the College of Ethnic Studies. 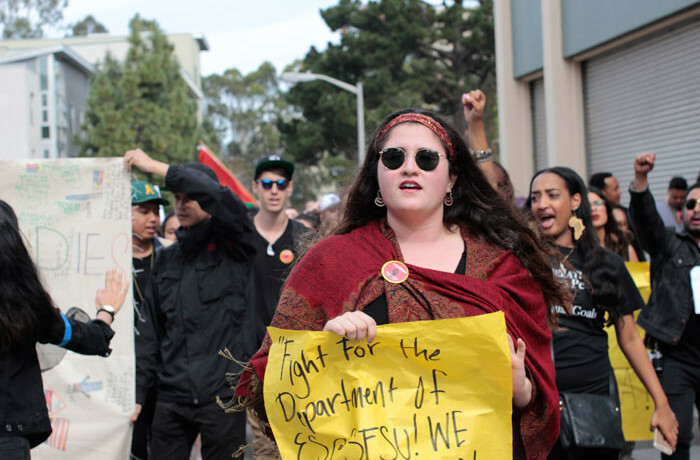 She said the courses and her professors also helped her unlearn a lot of the internalized hate she had for her own culture. 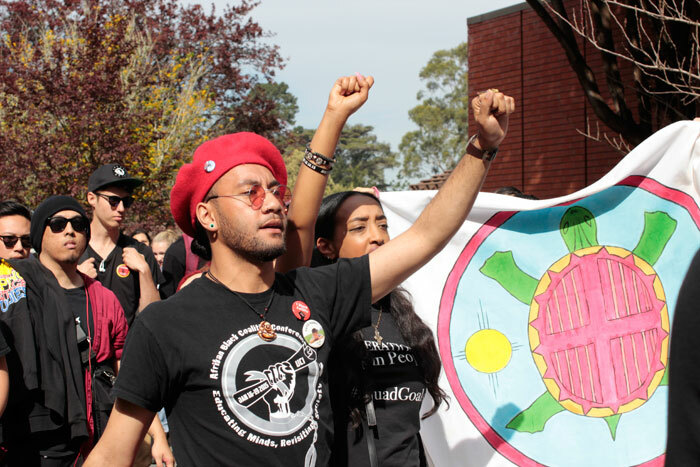 Carlos Peterson-Gomez, an American Indian Studies alumni, said he’s also grateful to the College of Ethnic Studies and his professors for his personal growth. He periodically visits his former professors and receives advice about his work with youth in the community. “I try to keep in touch and bridge the gaps,” said Peterson-Gomez, who is part of Urban Campesinos, a food justice leadership program in the Mission district. As part of a workshop series, Peterson-Gomez and other members of Urban Campesinos on Feb. 20 learned with and taught young adults in the community how to weave baskets out of Tule, a sturdy type of weed that grows in Mexico and Southern California. “My grandmother, who is Purepecha, said people used Tule to make armor. It’s all around us. 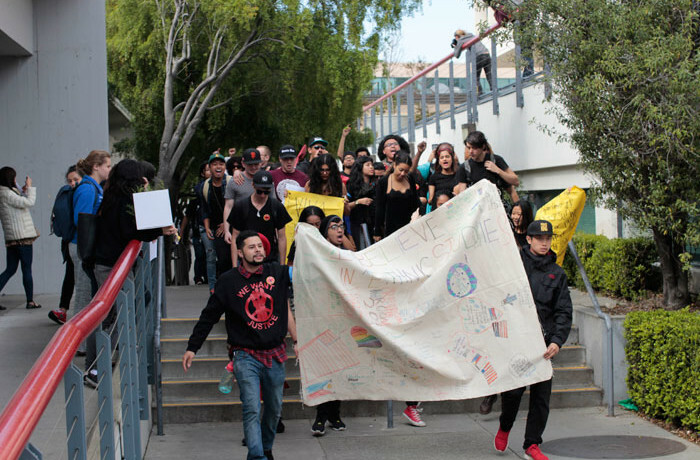 I think that’s also what the ethnic studies program teaches us, cultural knowledge,” Peterson-Gomez said. 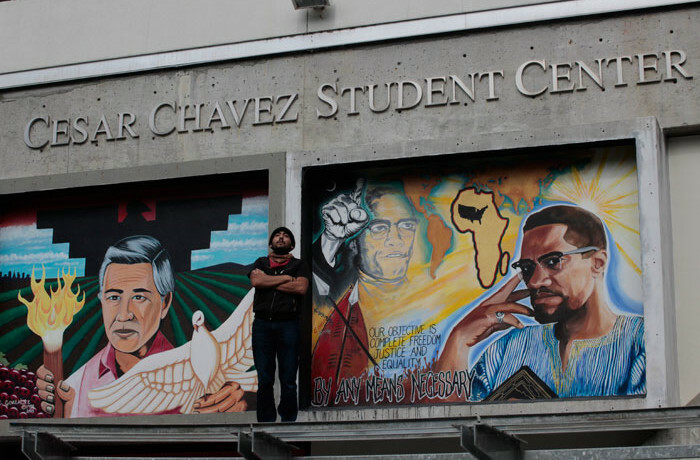 Other ethnic studies alumni contributions include those by Caro Monico and Zoel Quiñones, who established Clínica Martín-Baró, an all student and volunteer run clinic providing low to no cost healthcare to underserved populations, which includes a substantial immigrant population. 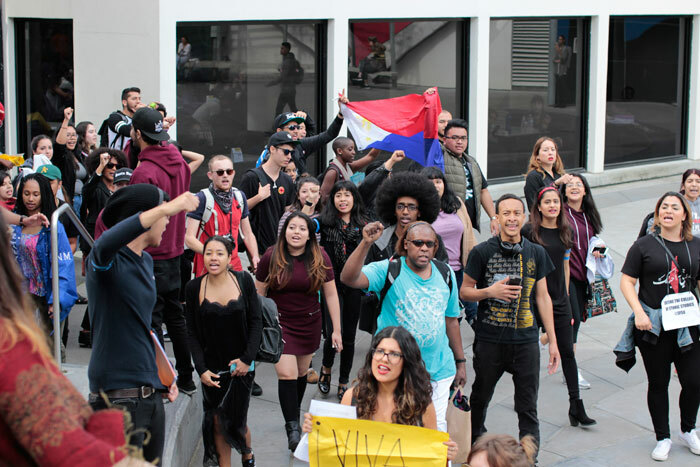 Jolivette said Wong and his administration are placing the blame on the college, which is resulting in an emergency situation of scarce funding. 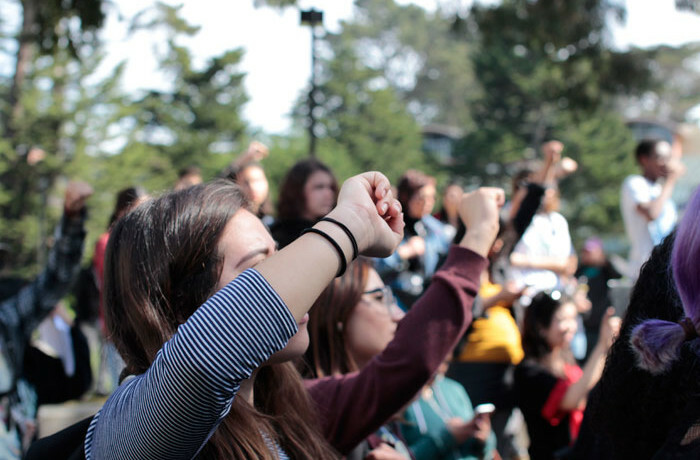 “They need to take responsibility for their lack of leadership,” said Jolivette, who is also part of the California Faculty Association (CFA). The CFA has been organizing a possible strike in April if not granted a 5 percent faculty pay increase. At the meeting, students read their 10 demands. They want a response by Monday Feb. 29, the last day of Black History month, no later than 5 p.m. 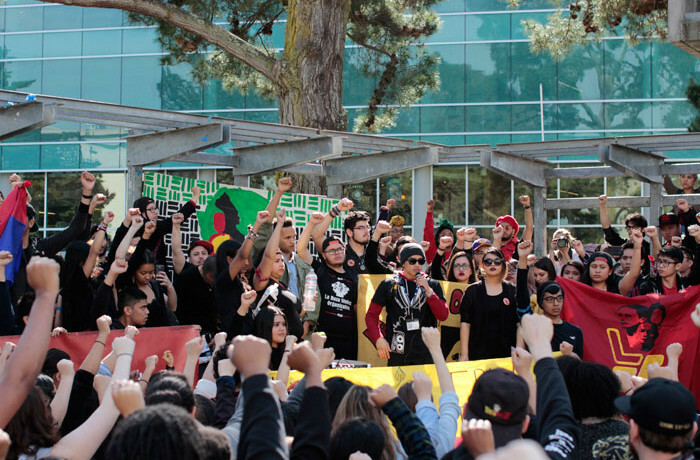 Among the demands were a restoration of funds resembling those prior to 2007, a mandatory ethnic studies course for all University students, departmental status for the Race and Resistance studies program, a Center for the Advancement of Black Life on Campus and a performance review of Provost Sue Rosser. 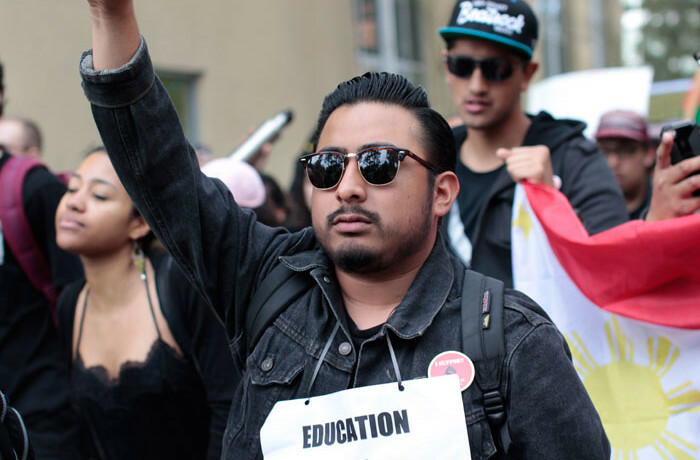 “All we want, all we are demanding is an equitable education,” said Cindia Diaz, a representative of the student organization Movimiento Estudiantil Chicana/o de Aztlán (MECHA).